Why is it that commercials can present their products clearly in 15 seconds or 30 seconds and we buy? 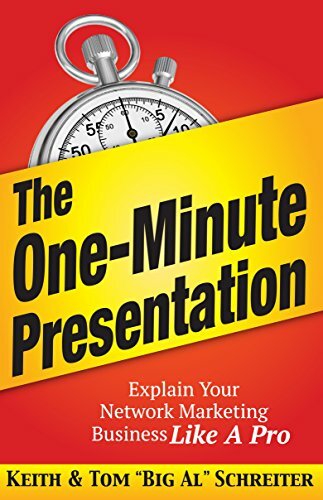 Why do we require a 15-minute or 30-minute presentation to sell our network marketing products and opportunity? Would you want to know the best way to present your business in One Minute? This book teaches you how to do just that, rejection free.